Photo post cards as symbolic from the name itself are nothing but post card photographs – be it designed and drawn by self, or of anybody else. 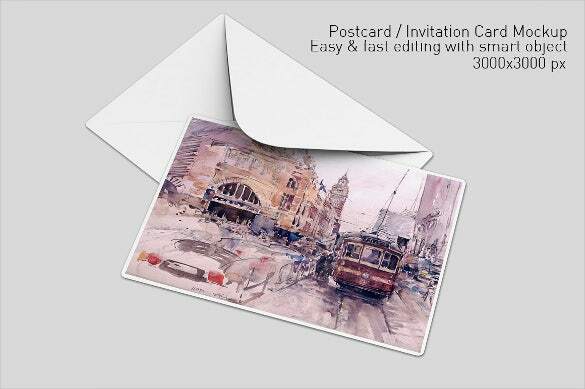 These post cards contain beautiful scenery photos or any other theme based photographs. 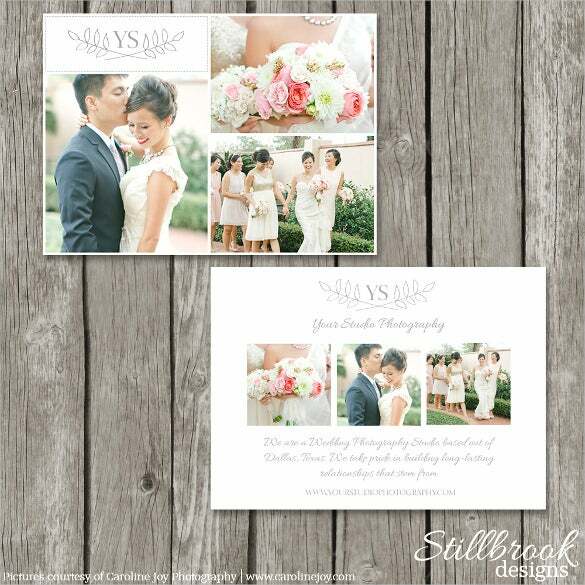 These post card templates have extensive usage of Photoshop which is employed to provide various forms of designs and outlook to the photo which has been displayed on the post card template. 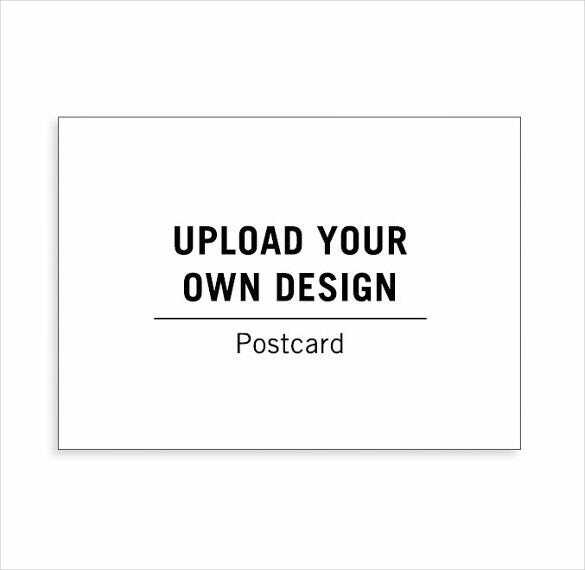 You can also see Mac Postcard Templates. 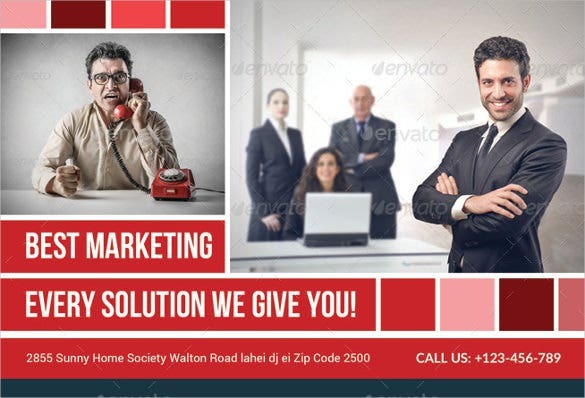 These postcard templates are built and crafted specifically using PSD format or at times in a PPT format with rich customized themes and word arts in order to provide rich aesthetics to the image. If you have distant family members who live far away, you could let them know how you’re doing with the help of a cute postcard like this. 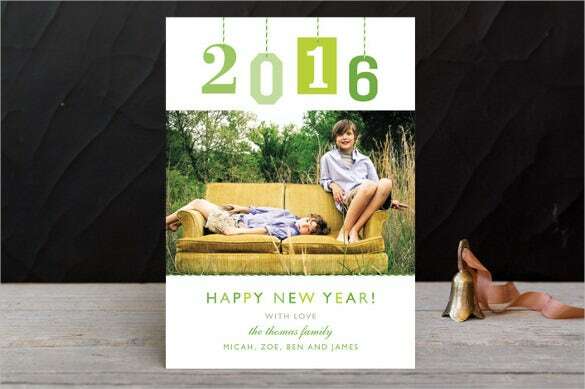 You can add images of your kids and other family members to customize it and add a personal touch. 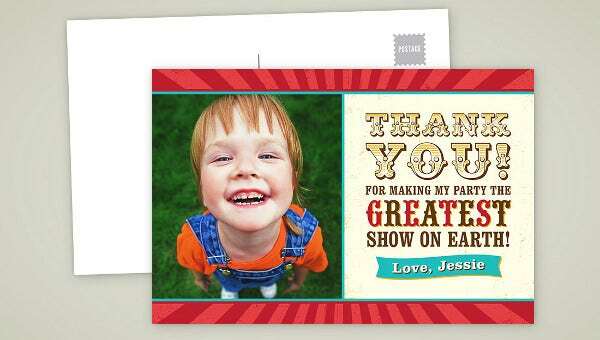 There is nothing better than a personalized postcard. 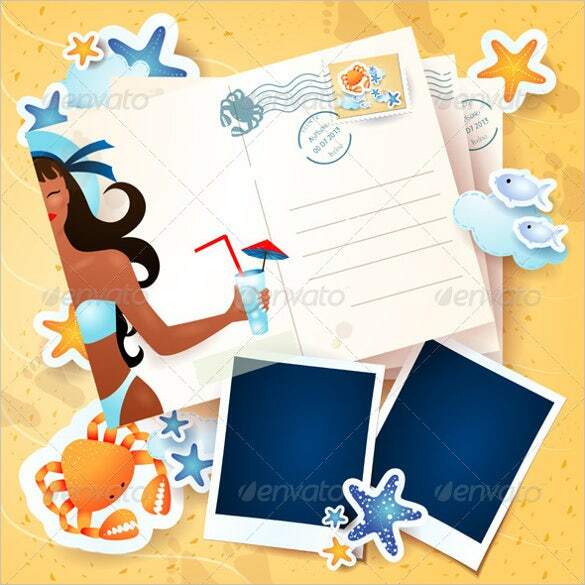 This postcard template is extremely easy to edit, all you have to do is download it and add the image. You can add an image of yourself, or a photograph taken by you. If you’re getting married this winter, then you could ask your friends and family to save the date with this postcard that is sure to make them go “aww”. It has a unique touch, with an image of a calendar in the back. 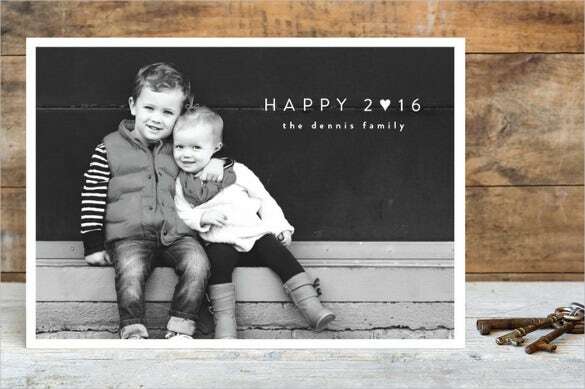 Celebrate the holidays with your family this year by sending them a beautiful personalized template. 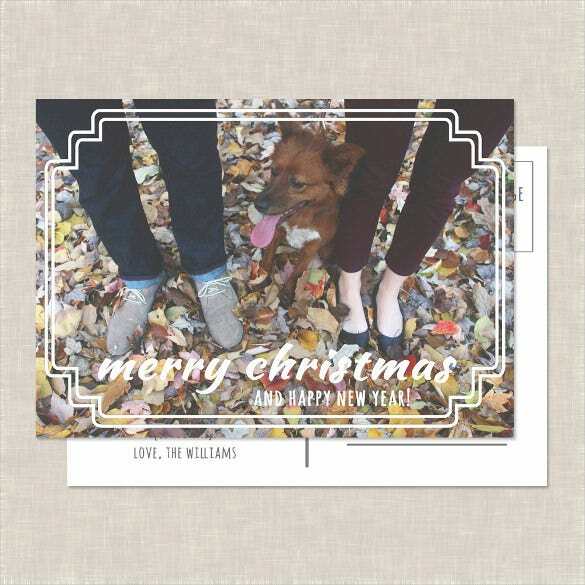 You can add an image or a collage of yourselves amidst Christmas decorations. Wedding photography is an art, and if you have the necessary skills, you need to be able to flaunt it. 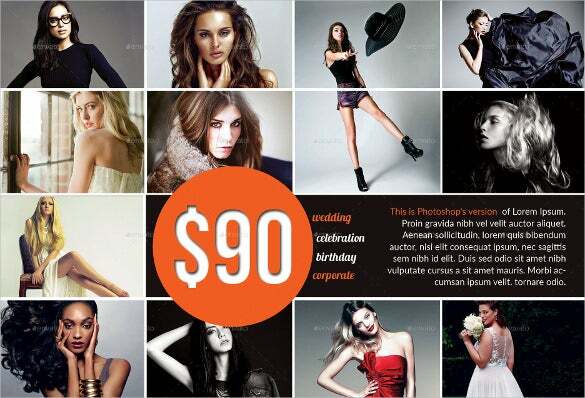 You can do so by adding beautiful images taken by you on the template, it would help you advertise your business. 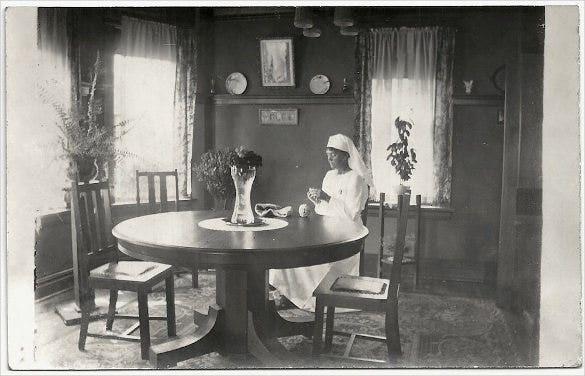 If there is someone in your family who has been in the nursing profession for a long time, then you should send them this perfect postcard. It has a vintage look to it, which makes it appear authentic and attractive. Now that your wedding is over, you need to send out a thank you note to all the guests who showered you with blessings. 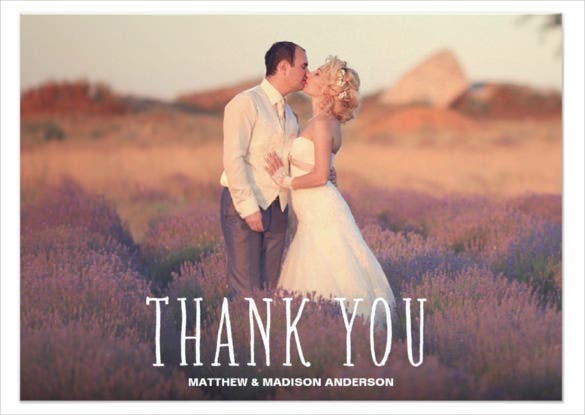 You can download this postcard template, add a customized image from the wedding, and a short personal message. If you’re announcing the big news, go all out, don’t hold anything back. 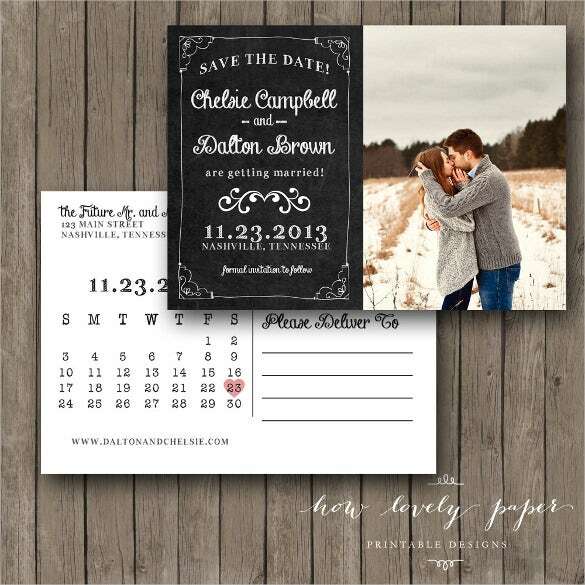 Ask your friends and family to save the date with this great editable template. 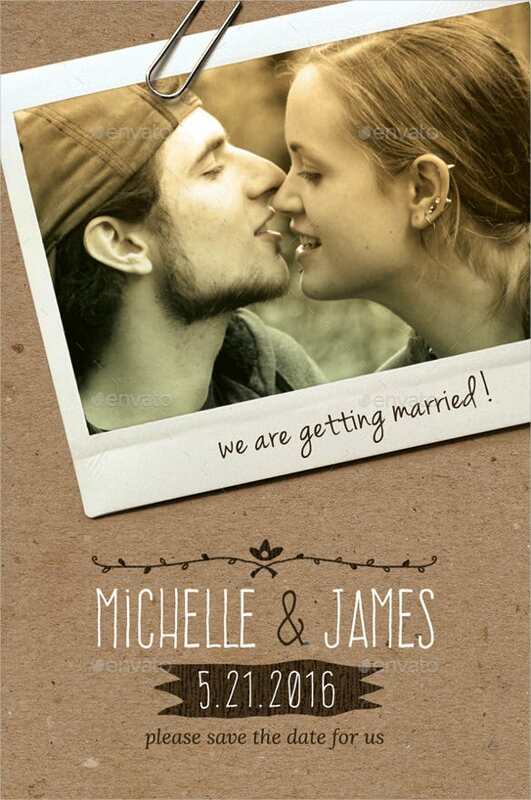 You can add an image of the two of you on the cover and fill in the details in the back. 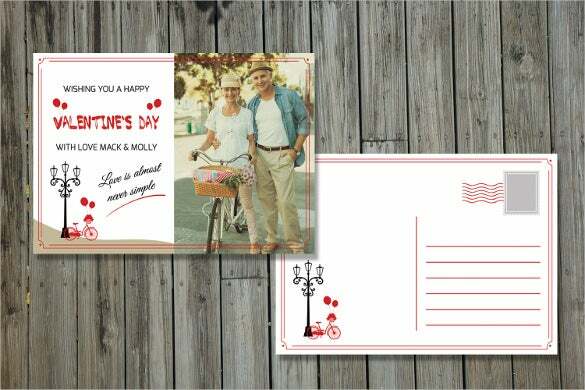 There is no better way to wish your valentine on this day of love than to send him or her a personalized postcard. You could add a beautiful image of yourselves that is sure to sweep your partner of their feet. Spending your summer vacations by the beach? Let your friends know how much fun you’re having and all that you’ve seen and experienced on your vacation through this postcard. Your friends are sure to appreciate a pretty postcard like this. A dog is a part of your family, without a doubt. If you’ve got a dog recently, you can show him off to your friends and family with this adorable postcard with a customized photograph. If you own a business, you could download this template and add the details of your business on the cover. 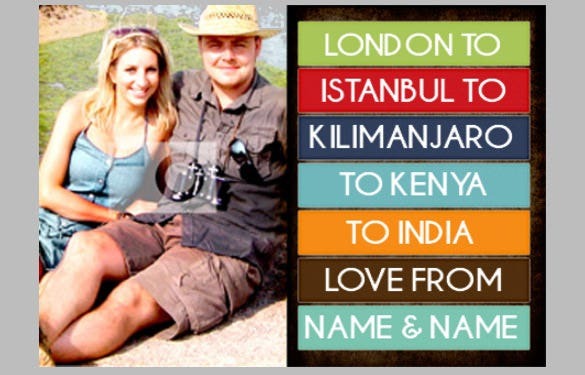 You can customize the postcard template with the company logo, company slogan and images. 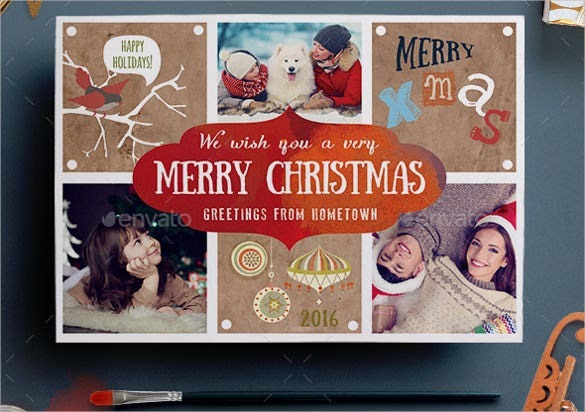 This is undoubtedly going to be one of the most elegant and beautiful postcard templates you’ve come across. 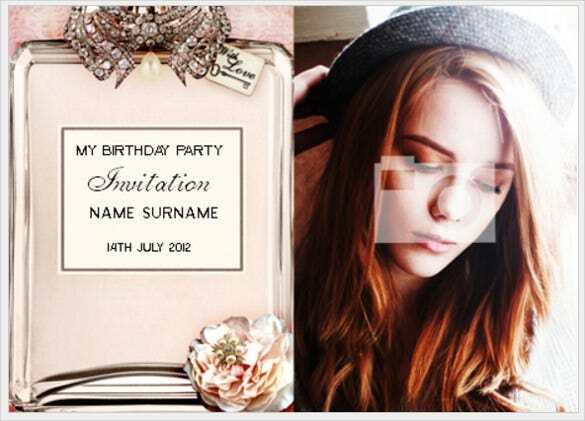 You can add an image of yourself on the side, with a simple short message on the left to invite your friends to your birthday bash. If you’ve had a death in the family, then a funeral is mandatory. 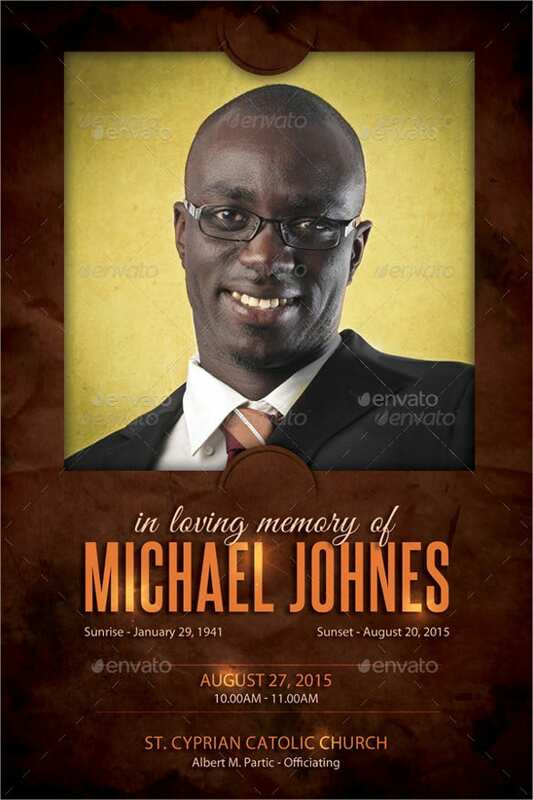 To invite friends and family of the deceased to the funeral, you can download this template and customize it. Add his or her picture on the top to personalize it. Carnivals are a fabulous choice when it comes to kids’ birthday parties. 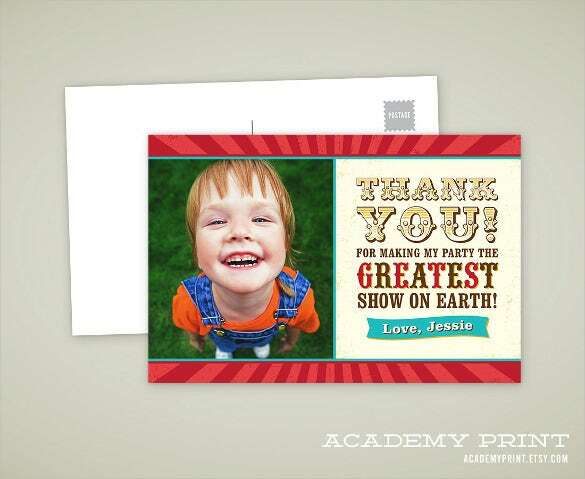 After the party, you mist write back to the carnival thanking them for making your birthday party a special one. For doing that, you can download this template.